To be fair, I’m not actually sure how old this coop is. Hawk Hill was built pre-1920’s and the dimensions of the lumber used to build this coop and tool-marks on the interior beams, as well as the style of the foundation, seem to support this timeline. Because of construction similarities I suspect this coop and the original horse barn were built around the same time as the house, making both about 100 years old. 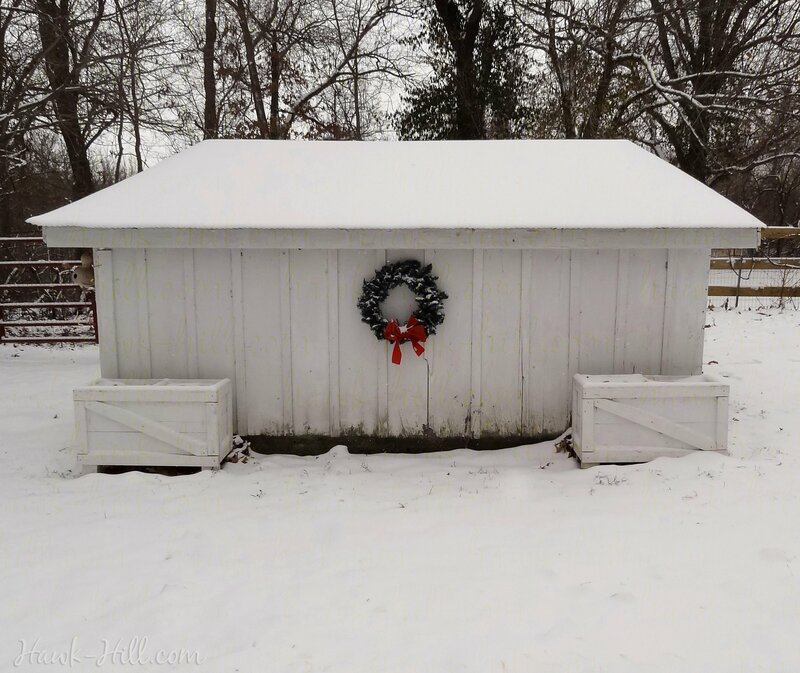 As the construction of new chicken houses is again popular, I thought it might be helpful to share a coop still standing from the previous generation of folks who raised backyard chickens. 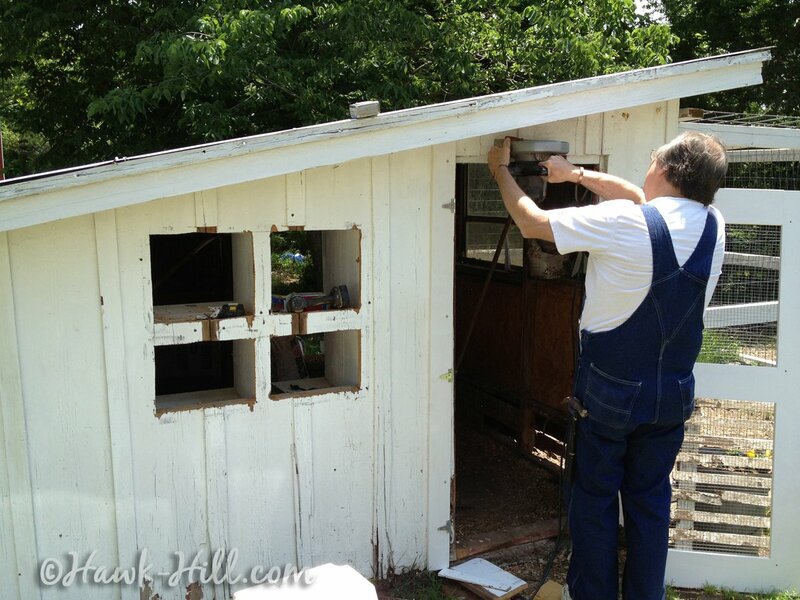 Note: This post shows the external features of the coop, for an internal view see my post on 100 Year Old Chicken Coop – INTERIOR. 1. A sloped roof maximized floor space and reduced building cost while keeping the run dry. 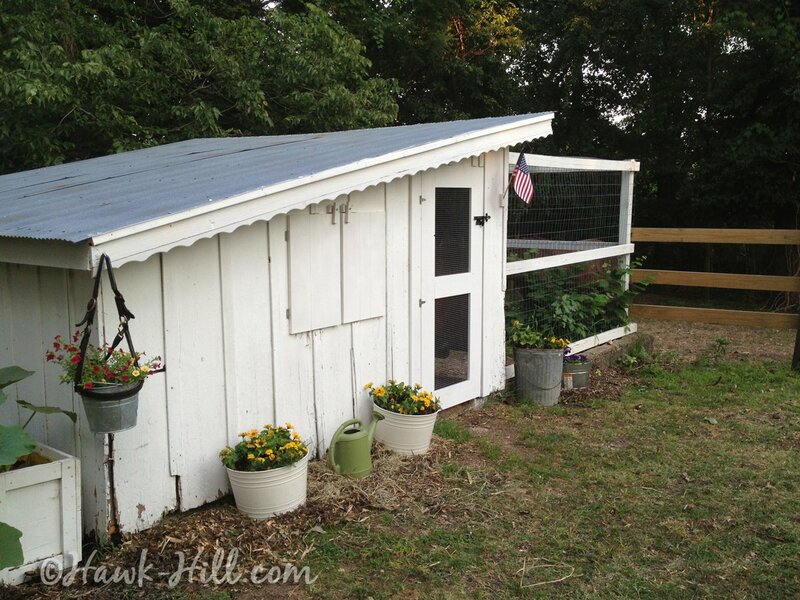 The enclosed part of this coop measures 12ft x 10ft. It has a door on both sides, under the tallest part of the roof. 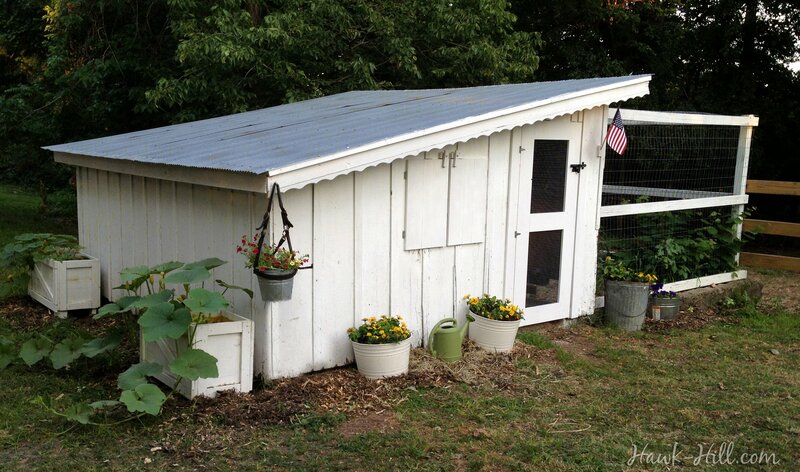 The coop is short, and built just tall enough that an average height person can walk through without stooping. At the tall end, the rafters are about 6′ from the floor, on she short end the rafters are just 2-3 feet above the floor. The shorter end can be a bit of a pain to clean, but the well thought out size means that with just a little stooping, a rake can reach the shortest end easily. 2. Utilizing the sloped landscape to create an easy gravity-assisted way to clean out the coop. 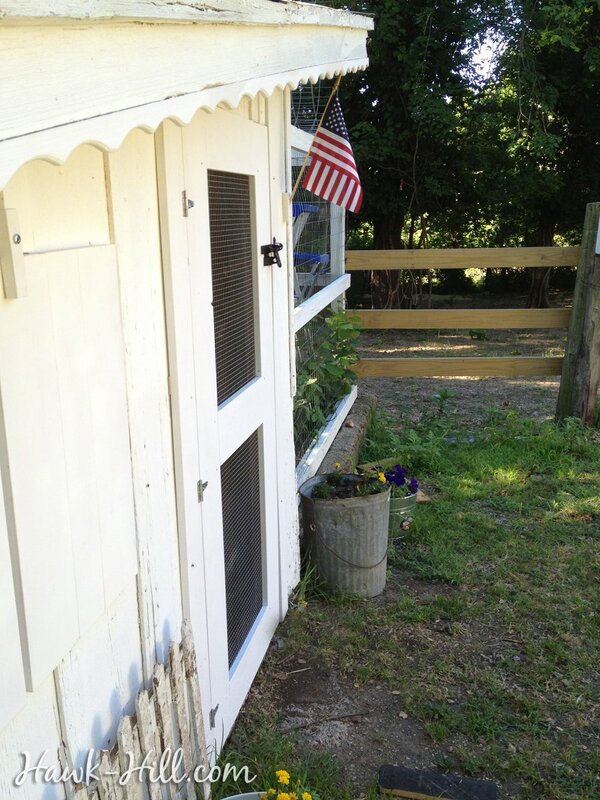 I discuss this further and show pictures on my post about the interior of my old chicken coop, but because my coop is built into a slope, the “back door” of my coop has a threshold that is roughly 18-24″ above the ground. 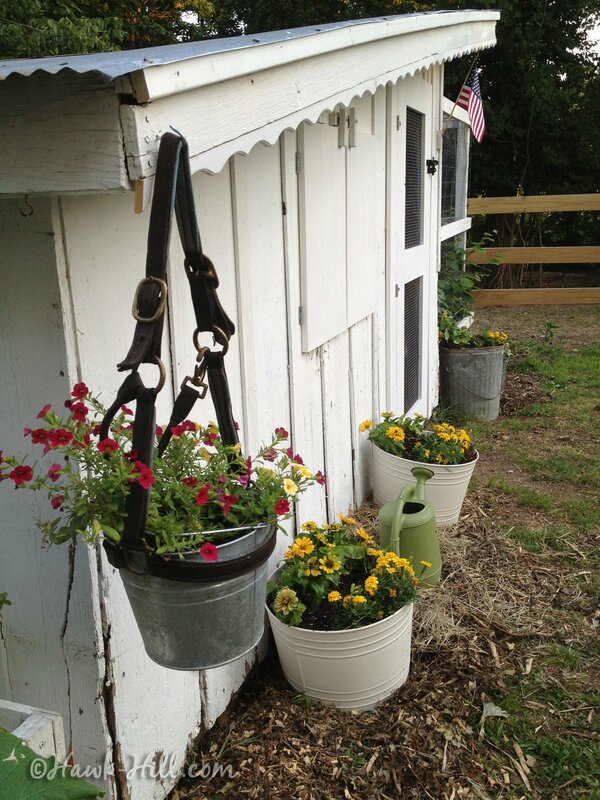 This rise is perfect for parking a wheelbarrow under, allowing bedding cleanout to be a simple process of sweeping bedding into the waiting wheelbarrow below. 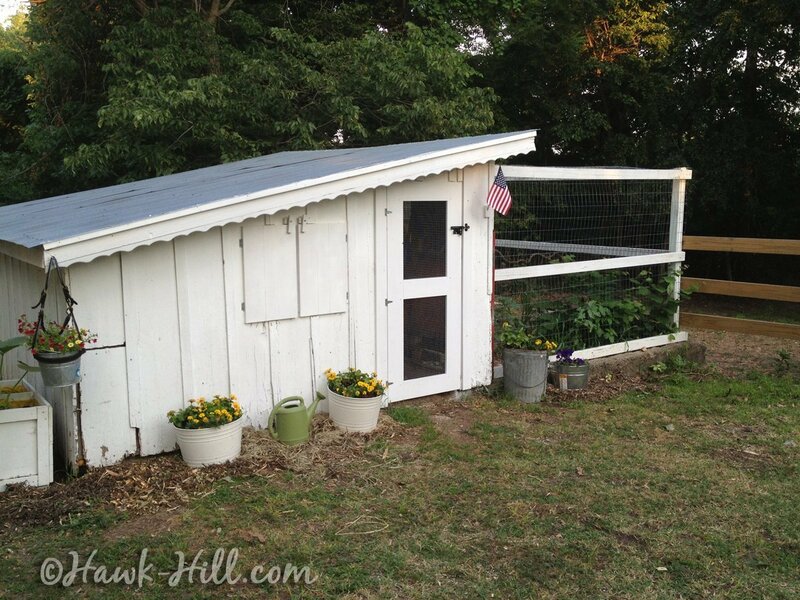 I think the smartest part of this vintage coop design is the outdoor run that is basically a large raised bed (like you’d find in a garden) with thick concrete sides. This design made the run easy to predator-proof and means mud and pooling water are never a problem in the chicken run- even heavy downpours drain off immediately. The sloped design of the roof means that all rainwater hitting the top of the roof is directed away from the chicken run, also helping keep the run dry and sanitary. Fashioning the attached run like a raised garden bed compensates for construction on a slope and allows easy predator-proofing and water drainage. When I bought Hawk Hill in late 2010 this coop was a rotting, leaking building used for storage- in fact the first bird I put inside escaped through a loose board in the siding! 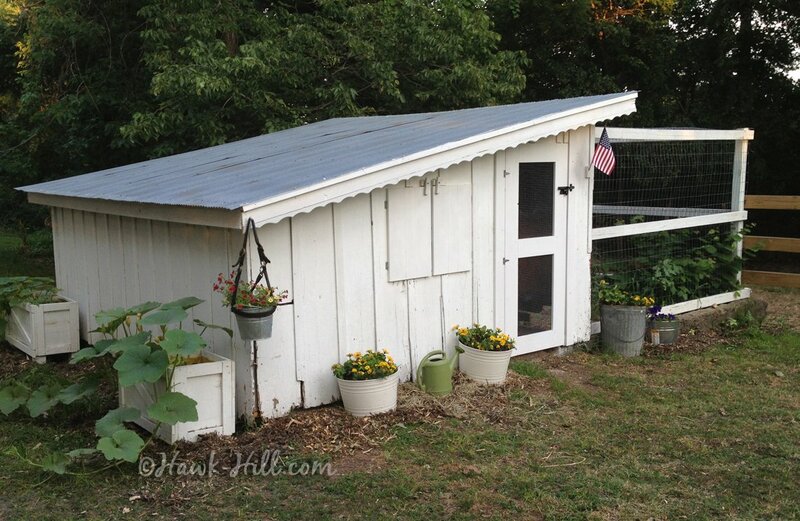 Since 2010 I’ve done lots of repairs and upgrades to make this coop a comfortable, renovated home for modern chickens. I lined the walls in plywood to reinforce the aging outer siding and added insulation. After adding interior plywood, I used expanding foam to fill gaps and cracks that were creating drafts in the winter. Construction of ventilated doors for coop and run. Addition of an electrical outlet by an electrician. Upgrading to Astro-Turf nesting material. Reach-through nesting boxes were my most recent upgrade, added in 2013. 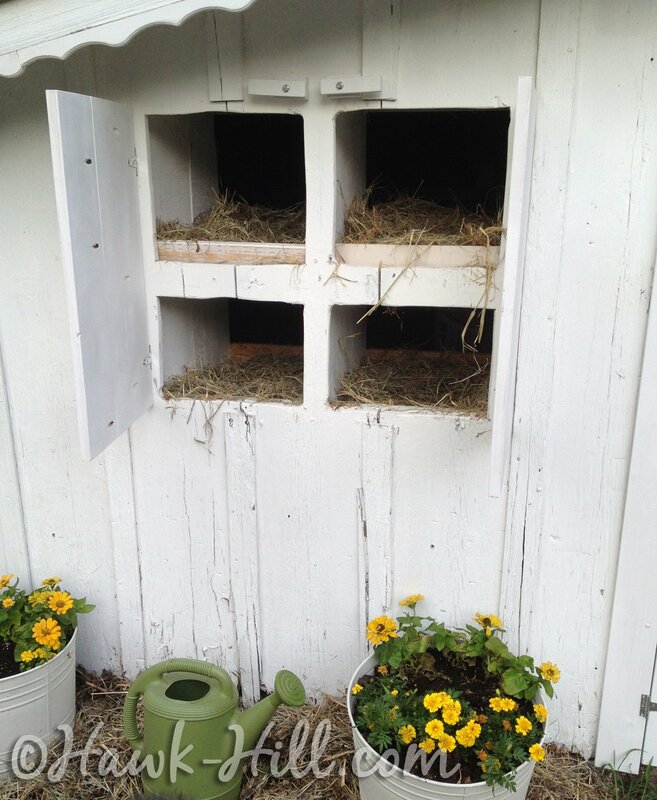 Nesting boxes were easily added by hanging small wood shipping crates on the inside of the coop, cutting holes in the exterior wall, and installing doors. We’ve not had any predator problems, so this rotating wood block style lock seems to be sufficient. 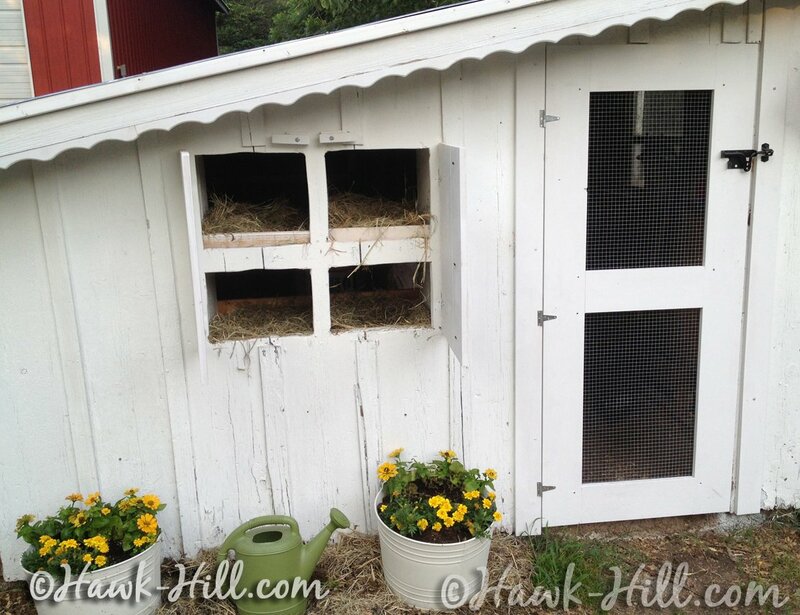 2016 Update: The photos were taken before I switched to astroturf lined nesting boxes, which work so much better than the straw nesting box lining shown in these photos. 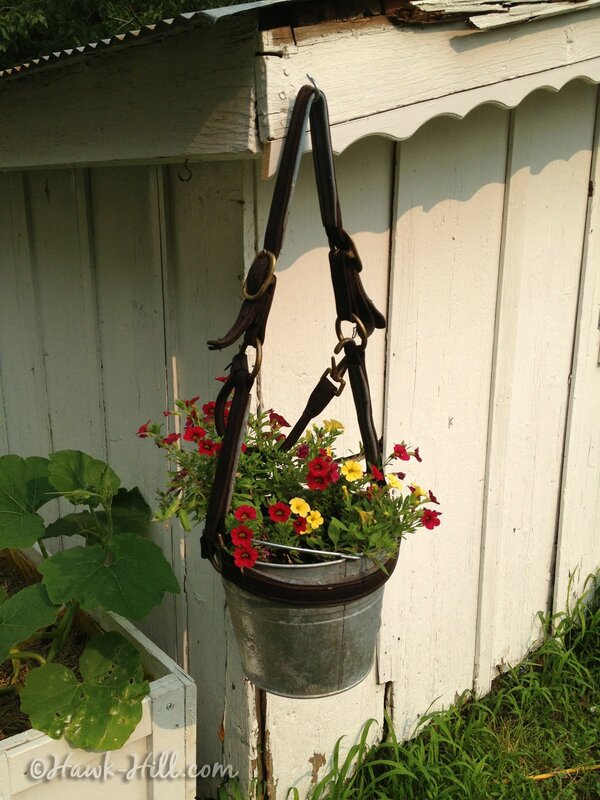 I love cheering the coop up with a little bit of simple landscaping. 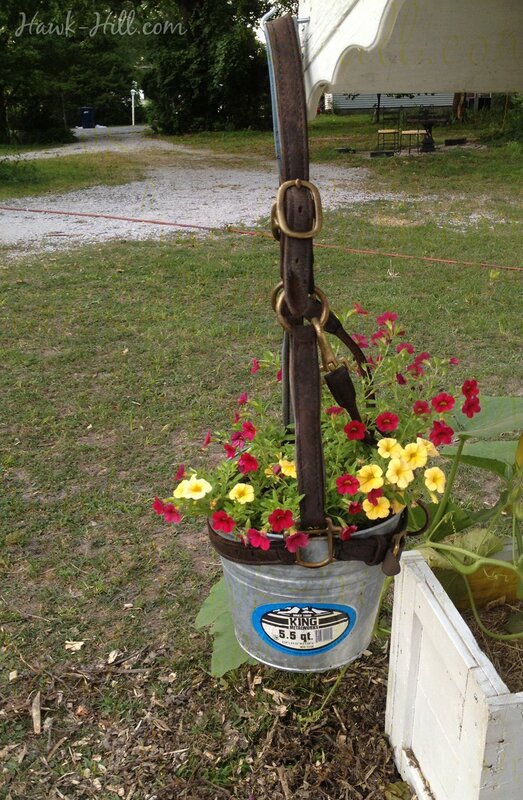 Planters seem to keep the chickens from doing too much damage when they are free ranging. I really like how the thick concrete foundation of the coop corrects for the changing slope of the property in this area. I’ve done most of the work myself, with randomly drafted house guests helping with framing the run. 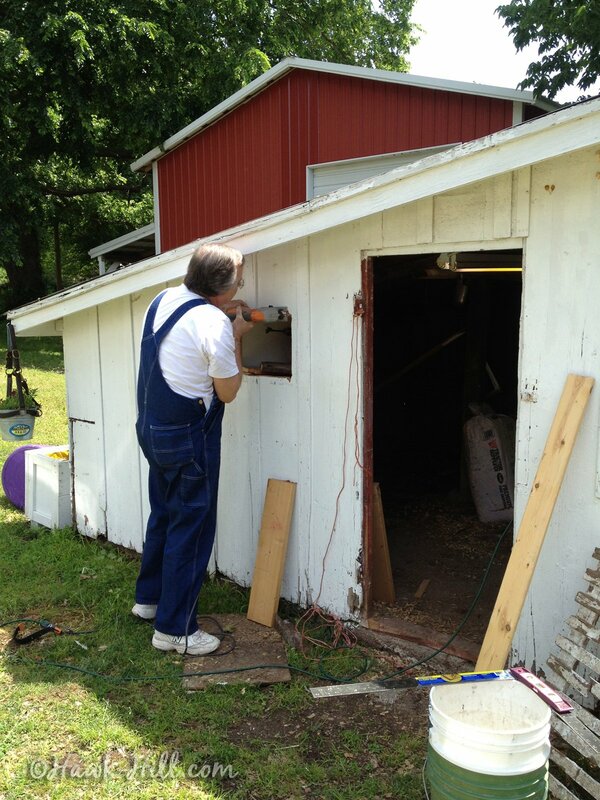 However, when it came to cutting the exterior openings for the nesting boxes and removing the main door for replacement, I called in my dad for backup! I need a better shot of the run, but here’s a quick photo of a door I built so run access would be easier. Hawk Hill’s coop makes a nice spot to hang a wreath in the winter, since it faces the driveway. 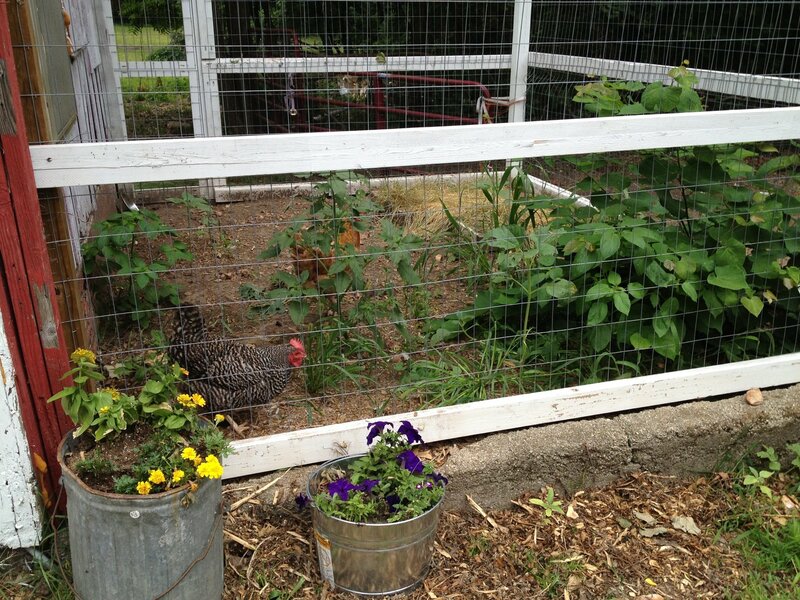 And here’s a shot of my barred rock hen, Eleanor, enjoying the chicken run (and the Rhode Island Red, Trudy, hiding behind the plant in the center). You’ll notice I have quite a few plants surviving in my run- read more about my methods for keeping green growth in a chicken run. 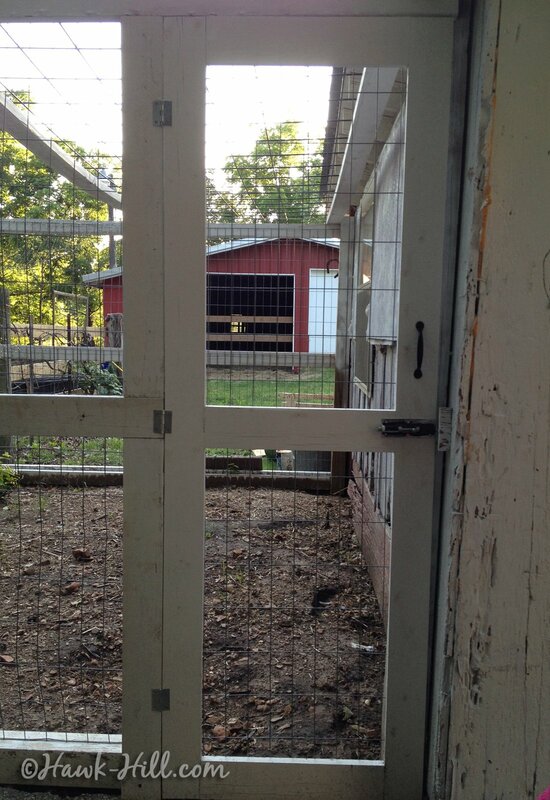 For interior views of my 100 year old coop, see my article on My Chicken Coop’s Interior. Thanks Pati! I’ll be posting more on my coop soon- I got tired of the hens knocking the straw out of the nesting boxes so I put down deep-pile astro turf this weekend. So far it’s a success! Hi Denise! 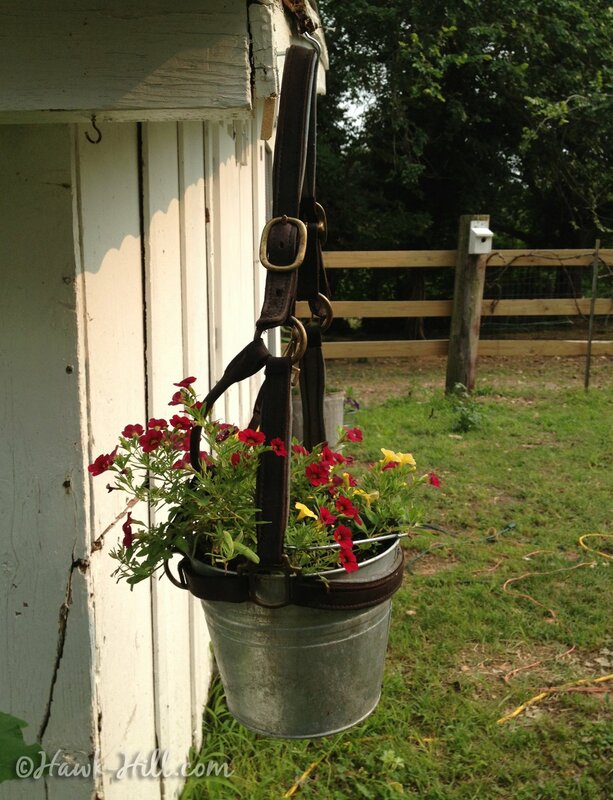 I am working on a post with photos of the inside of my coup- hopefully will have it up in a few days. If you subscribe to my blog you’ll get an update when I post it! To answer your question, from the inside the nesting boxes are only about 2.5 feet (75cm) from the floor, and none of my girls seem to have trouble hopping up and down without a ladder.